Not everyone lusts after the latest and greatest wireless routers. Some people just want to spend as little as possible when getting their network on the air. For them, a basic single-band N router is just the ticket. And that's what Rosewill has produced with its RNX-N360RT. If you're a DIY computer builder, you're probably familiar with Rosewill as a maker of cases, power supplies and the other sundry items needed to roll your own PC. But Rosewill has a small, but growing line of networking products, mostly focusing on low price as the value proposition. N150 (single-stream N) was intended for mobile client devices that have space and power constraints, not for use in routers and access points. These routers can't be Wi-Fi Certified as a result. 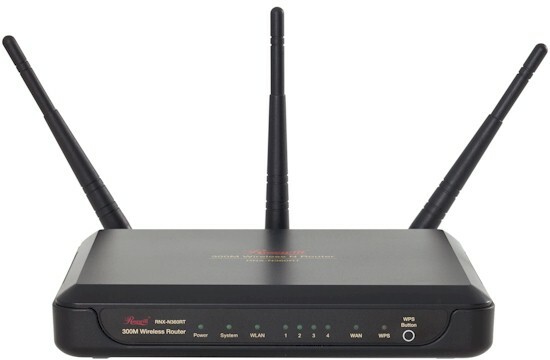 These are ok if you're looking for a mobile router to support multiple devices in a hotel room or a powerline-connected mini access point to extend your wireless LAN's range. But otherwise you're better off buying a lesser-known N300 router or a refurbished name-brand one. The router comes in a box that has a low-price feel, an impression reinforced by the one foot network cable Rosewill throws in. The router itself has an all-plastic housing that's designed to sit flat on a desk. There are mounting slots on the bottom, however, if you want to wall or ceiling mount it. The 360RT's front panel does have a full complement of status indicators, though, something that many high-end routers have dispensed with in an effort to gain higher WAF. The rear panel Ethernet jacks have no link/status lights and are all 10/100. The three 2 dBi antennas attach via RP-SMA connectors, so you can attach higher-gain antennas if that's your pleasure. The key components of the 360RT are summarized in the chart below. The basic design is similar to the first generation NETGEAR WNR2000 I reviewed back in 2008. But a more recent separated-at-birth low-price-focused router is TP-LINK's TL-WR1043ND, that Craig reviewed just last year. The main difference between the TP-LINK and Rosewill is that the TP-LINK uses a Realtek RTL8366RB Gigabit switch instead of a Marvell 88E6060 10/100 switch. The TP-LINK also shares a USB drive via FTP. The FCC ID photos were fuzzy, so I took my own shot below. The RF shield was soldered in place, so I had to ask Rosewill what was under it (the Atheros AR9103 radio). While trying to identify the chip on my own, I came across this photo of TP-LINK's TL-WR941ND, which is eerily similar, no? I don't know who is OEMing to who, but someone is or both TP-LINK and Rosewill are buying from the same OEM. Even though there are three antennas and a 3T3R radio is used, the 360RT is strictly a two-stream "N300" router, supporting a maximum link rate of 300 Mbps when operating in 40 MHz bandwidth mode.